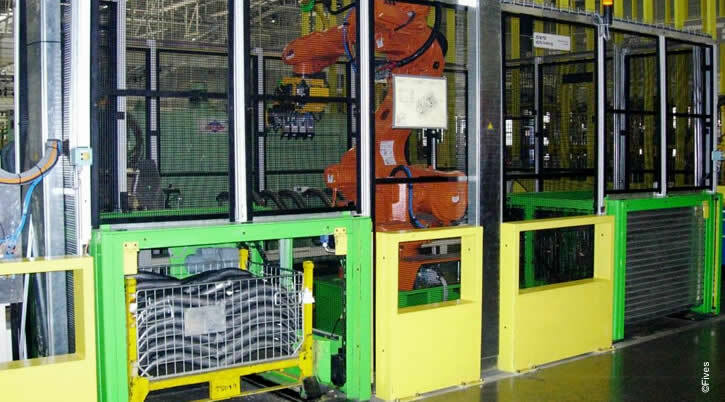 Fives designs and produces custom palletization cells : Using automated resources, these cells are used to unload workstations, loading cells or lines and to load pallets. 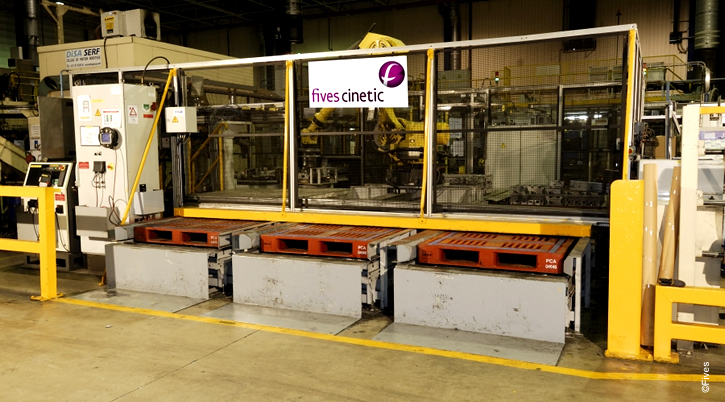 Fives' standards enable it to secure the interface areas between the automated palletization equipment (robot, gantry) and the handling devices used in the workshop (forklift truck, pallet truck, operator). Complete securing of interface areas between the automated palletization equipment and the handling devices used in the workshop. Repositioning of parts and defintion of the robot trajectory by probing.